"There was a boy called Eustace Clarence Scrubb and he almost deserved it." Another year has passed. Peter and Susan Pevensie are able to travel with their parents to America, while Edmund and Lucy are sent to live with their cousin, Eustace Scrubb. Eustace is a spoiled pest, a child who has been raised by "very up-to-date and advanced" parents and who attends a "modern school." 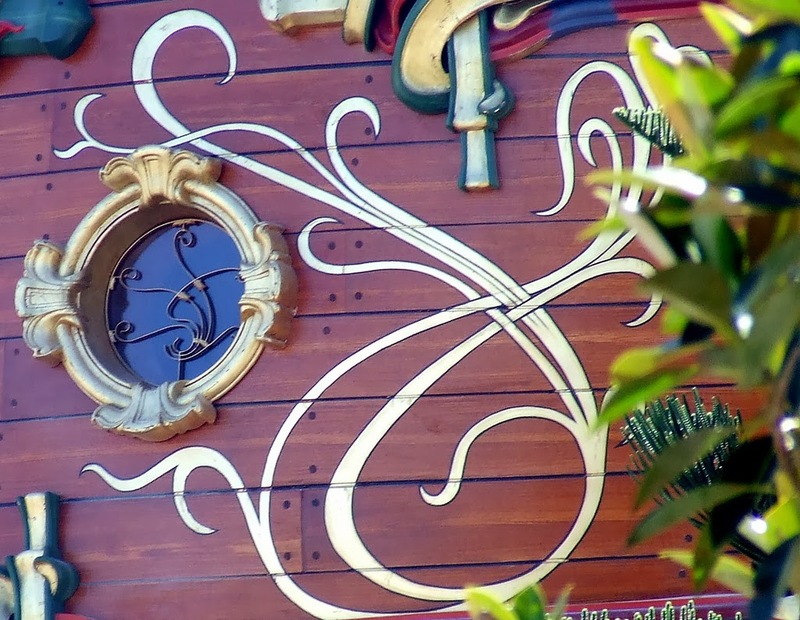 When the three children pass through a picture of a sailing ship and back into the land of Narnia, they are tossed into another wild adventure. This book is the third book published of the Narnia chronicles and with each book, Lewis weaves more gems of wisdom into the story and does it with a genuineness that is particularly appealing. Lucy once again has an encounter with Aslan: Lucy is instructed to look for a particular spell in a book of Magic but decides, against her conscience, to read a spell that will stroke her vanity and make her more beautiful than her sister. Immediately she spies Aslan on the page, growling and showing his teeth, which stops her selfish action. Instead she chooses to read a spell that allows her to eavesdrop on two girls from her school, and what she hears about herself is not pleasant, especially since she had viewed one of the girls as her friend. Aslan gently admonishes her about listening to their conversation and says that her relationship with her friend will now never be the same. When Lucy wishes to know what would have happened if she hadn't eavesdropped, Aslan tells her, as he told her in Prince Caspian, "Child, did I not explain to you once before that no one is ever told what would have happened?" Actions have consequences and we need to weigh the repercussions before we act, instead of being guided by impulse. Eustace Scrubb is certainly a wonderful character and Lewis' development of him is extraordinary. Going from a petulant, spoiled, impertient child, he is transformed by a frightening experience, yet Lewis does not make him perfect in his transformation. As we see by his reactions, he still holds some of the same prejudices, assumptions, and, at times, behaviour as he originally did. Eustace's encounter with Aslan fundementally changed his soul, yet he is like an Everyman, struggling with life's circumstances while trying to live a life of integrity, and still making mistakes along the way. Lewis makes a point in this book of examining the views of an exclusively scientific mentality and what results from this kind of worldview. Eustace is initially presented as boy who goes to a model, or progressive school, and is only exposed to factual experience. Because of his sterile formation, he is unable to enjoy or even recognize, the magic and joy in Narnia. He has straightforward knowledge, but when situations do not fit into his technical understanding, he is handicapped by his lack of wonder and curiosity, and is unable to accept, understand or cope with them. What is particularly telling, is that he doesn't recognize what lies right in front of his face: in spite of being on the Dawn Treader and being able to see that it is a ship, he tries to tell Caspian what a real ship is like; when they land on Droon, it is reasonably obvious (and he has been told) that they are in another world, yet Eustace insists they should find the British consul; and even after Eustace's transformation, when they land in the country of the Dufflepuds, he makes an impulsive judgement about the area and its people based on his first sight of technology: "Machinery! I do believe we've come to a civilized country at last!" By living solely by "the facts", Eustace can recognize what makes us physically human, yet misses the wonder, enjoyment, and recognition, of what makes us spiritually human. "Again, the oligarchy must more and more base its claim to plan us on its claim of knowledge ……. This means they must increasingly rely on the advice of scientists …… Now I dread specialists in power because they are specialists speaking outside their special subjects. Let scientists tell us about science. But government involves questions about the good of man, and justice, and what things are worth having at what price; and on these a scientific training gives a man's opinion no added value …… On just the same ground I dread government in the name of science. That is how tyrannies come in. In every age the men who want us under their thumb, if they have any sense, will put forward the particular pretension, which the hopes and fears of that age render most potent. They 'cash in'. It has been magic, it has been Christianity. Now it will certainly be science." I've been bad about getting my post put together for this read. It has been nagging at me to do it before I start The Silver Chair. I have a few others I need to write up as well, The School for Good and Evil, Longbourn and Rainbow Valley. I'm 2/3rds done with next Odyssey post, had to leave and didn't finish before I left, so finishing soon. That is quite an insightful review. Narnia is one of those series I just couldn't care much about, not as a piece of fantasy and not as a pseudo moral lesson, given that I don't care much for the moral or religious views of C. S. Lewis either. What Lewis books have you read? What I like about Lewis is that he is so respectful towards the people with whom he disagrees. He doesn't tear down their views; he says what can be respected about them and then he states what he specifically disagrees with and why. He never tries to convert you to his point of view, he simply gives you his and asks you to consider. I highly respect his approach, though sadly I find it a unique one. Aristotle said: "It is the mark of an educated mind to be able to entertain a thought without accepting it." and I always try to keep this in mind whether I am reading Lewis, St. Augustine, Darwin, Gibran, or Plato. I don't have to completely agree with everything they present (in fact I rarely agree with everything) but I have to be open enough to "entertain" what they are saying. Not only does it expand my own thoughts, but I am then better able to understand people who have different ideas than me, and I think that is a good thing. Thanks for stopping by, Piyush! It's been so long since I've read any of the Narnia books. Your post makes me want to pull them out and start reading. It's nice to be familiar with the stories so you can look for other ideas that Lewis has enmeshed in the story. I found that this book linked up with ideas prevalent in his Space Trilogy (surprisingly! ), which I'm going to be reading this fall. Oh, I can't believe how far behind I am on post reading! 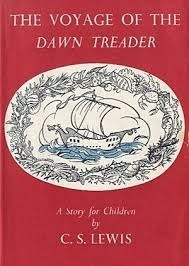 I love your thoughts about The Voyage of the Dawn Treader. It is one of my favorite of the Narnia novels, and while I've always enjoyed the little digs Lewis gets in at "modern" schools and thinking, I'm glad that you've put them in context for me. 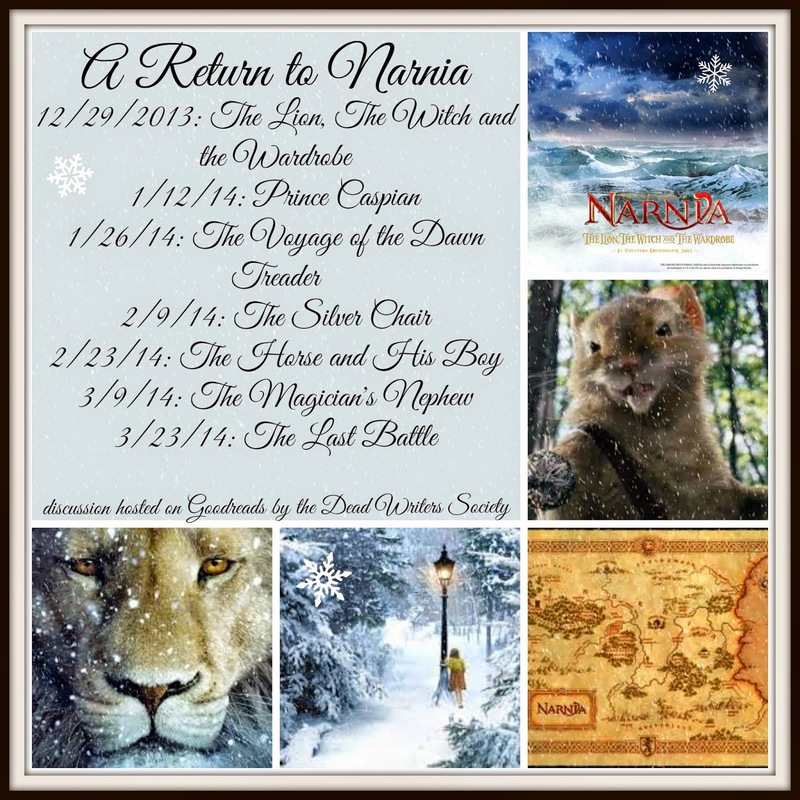 I'm looking forward to your future Narnia posts! Hi Amanda! So glad to see you making the rounds again! 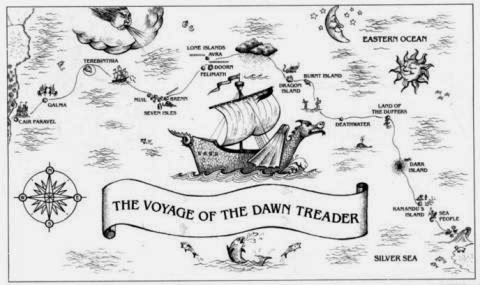 I think that The Voyage of the Dawn Treader is my favourite so far. I'm trying to get the series finished up by the end of the month, but we'll see ……. I'm looking forward to The Last Battle. I have so many books on-the-go it's a little overwhelming but that should taper off in the next couple of months.